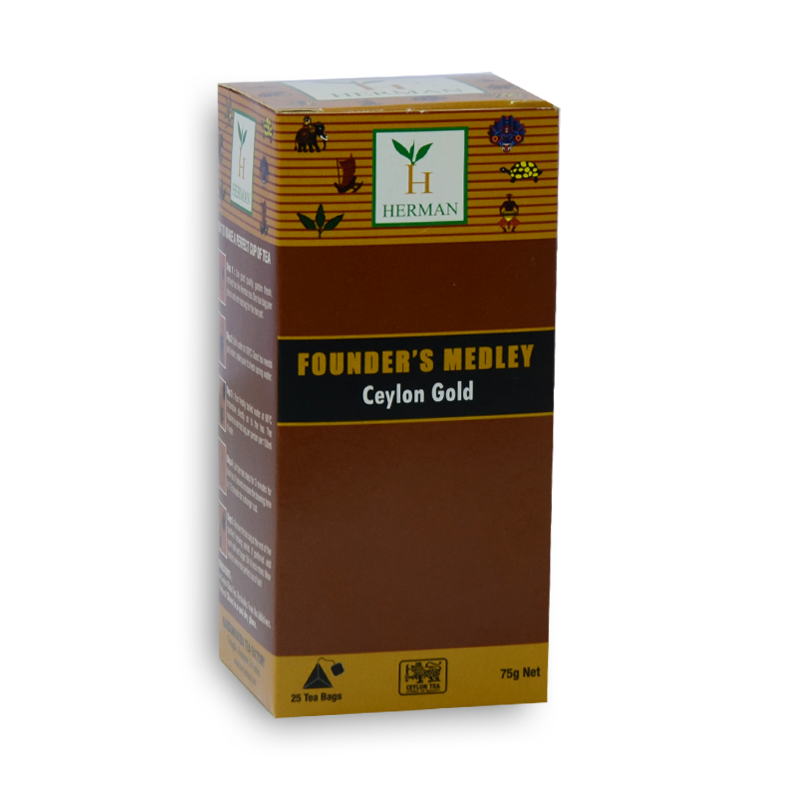 Produced from a sized leaf wich helps the liquor to be a little stronger than Flowery small leaf, Ceylon Gold Tea is a pleasant tea to enjoy in the morning and is Lighter than, English breakfast Tea. A tea flavoured to suit the European palette. A taste unique to the Handunugoda Tea Estate, coupled with a delightful rich flavor, an experience brewed to suit the true connoisseur of tea .A medley of love brewed specially for you by our own master craftsman, Tea Connoisseur Herman Gunaratne!! !